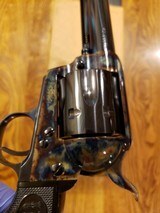 The Colt SAA GI# 101172612 has been sold. 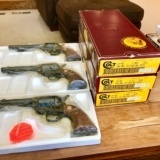 Colt Single Action Army 3rd Generation in 45 Long Colt with 4 3/4 inch barrel - blued - Ivory Grips - LIKE NEW! Colt ~ SAA ~ .44 Spl. Colt 7 1/2" .45 SAA 3rd Gen. Blue & Case Colors NIB! Untouched & Unturned Mint! Made New Last Month! 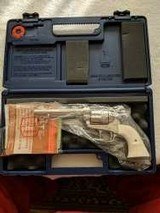 Colt ~ Single Action Army "3rd Gen" ~ .357 Mag.